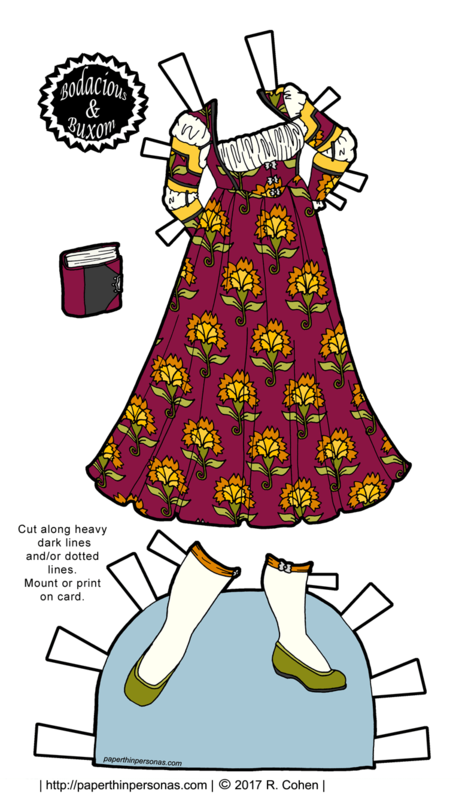 Today’s paper doll dress was very heavily influenced by this dress on Pinterest. It’s not an exact replica, but it is really very close.I really loved the romantic style of the dress. It just felt so fairy tale to me. The ribbon detailing on the sleeves and the bodice was one of the things that drew me to the dress. 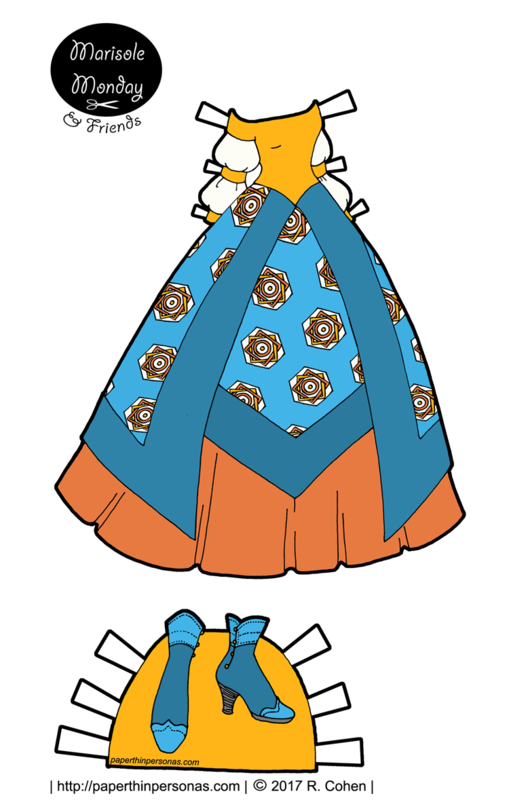 I didn’t like how the bodice and the waist seam cut off the lines of the dress, so I changed that for my version. 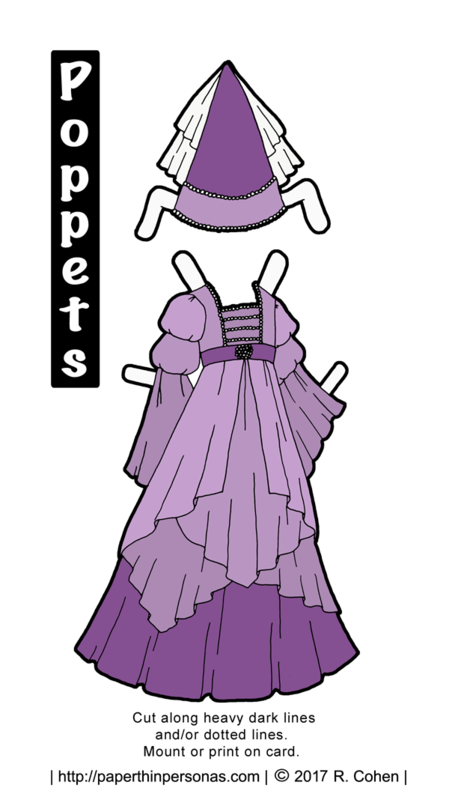 I sometimes feel a little guilting drawing such close replicas to other’s designs, but I also know that clothing designs can’t be copyrighted, so I refuse to feel too guilty about it. 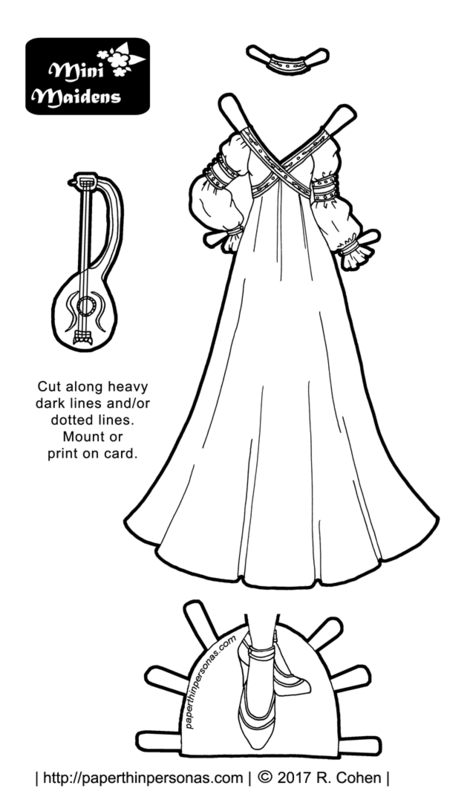 In my head, this is the sort of paper doll gown that a paper doll wears while lounging on a stone bench in the garden near a fountain playing her stringed instrument and looking super amazing. It is the opposite of these fantasy outfits. There is no practicality here at all, except perhaps her shoes which I wanted to be simple given the complexity of the dress. I do regret not doing some pattern on the trimming on the shoes, but I shall survive. Meanwhile, I am three weeks into my graduate program. So far things are going pretty well. I have more work ahead of me, but I am feeling pretty confident about it. I will admit that I’ve been struggling to find time to draw. I want to draw, but somehow I can’t seem to quite get into the right mental place to let things go and just relax into the process. 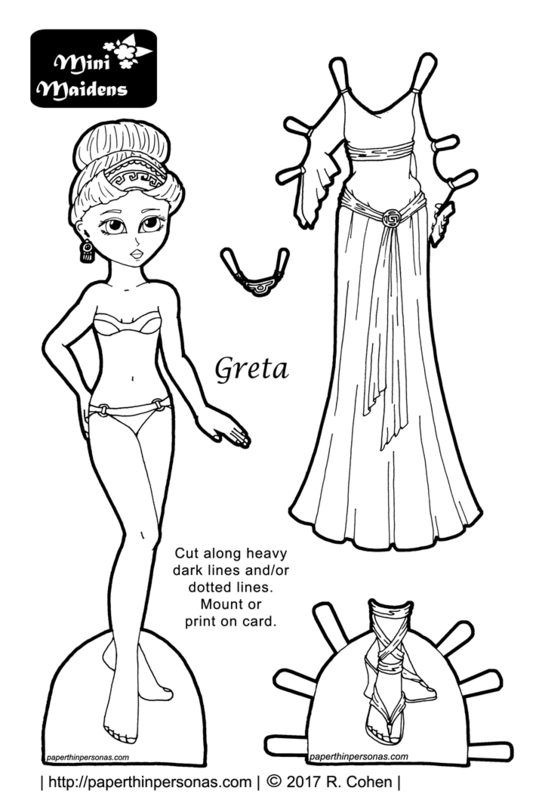 Friday there’s an amazing paper doll dress planned. 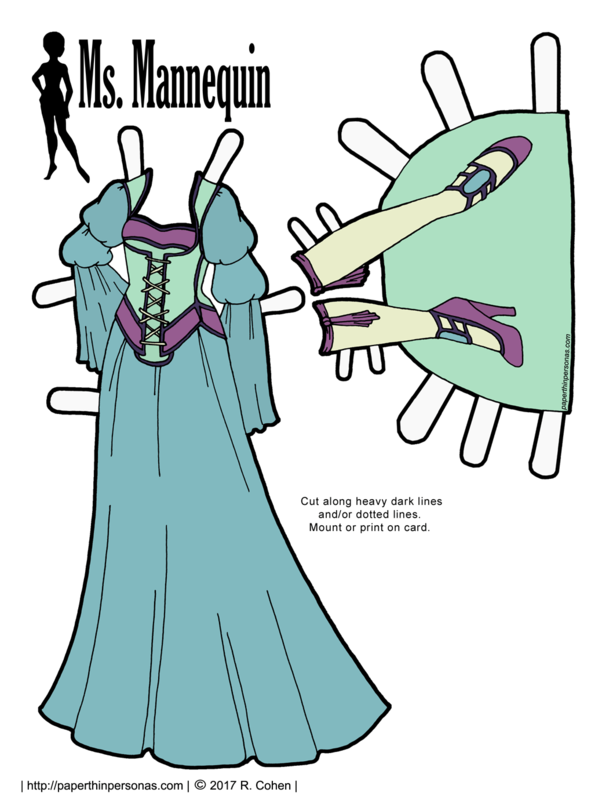 A 15th century Burgundian gown for the Ms. Mannequin series. It’s glorious. Also, Rosh Hashanah starts tonight at sunset, so Shana Tova everyone! May your new year be sweet.